Studio 308 is a beautiful photo studio and event space in the heart of Dogpatch, in San Francisco. The space is 1,700 sq ft., with 44' of diffused windows, and north facing light. We are available for day, evening, and weekly rentals. Studio 308 is also in the epicenter of a culinary explosion of artistan food purveyors and cool restaurants. We are a stone's throw to: Olivier's French Butcher, Serpentine, Yield Organic Wine Bar, Mr and Mrs Miscellaneous Ice Cream, Hard Knox Cafe, Long Board Pizza, Marcella's Lasagneria, and many others! You are 3 stops away from Pac Bell Park on Muni. Because it survived the 1906 earthquake and fire relatively undamaged, Dogpatch has some of the oldest houses in San Francisco, dating from the 1860s. 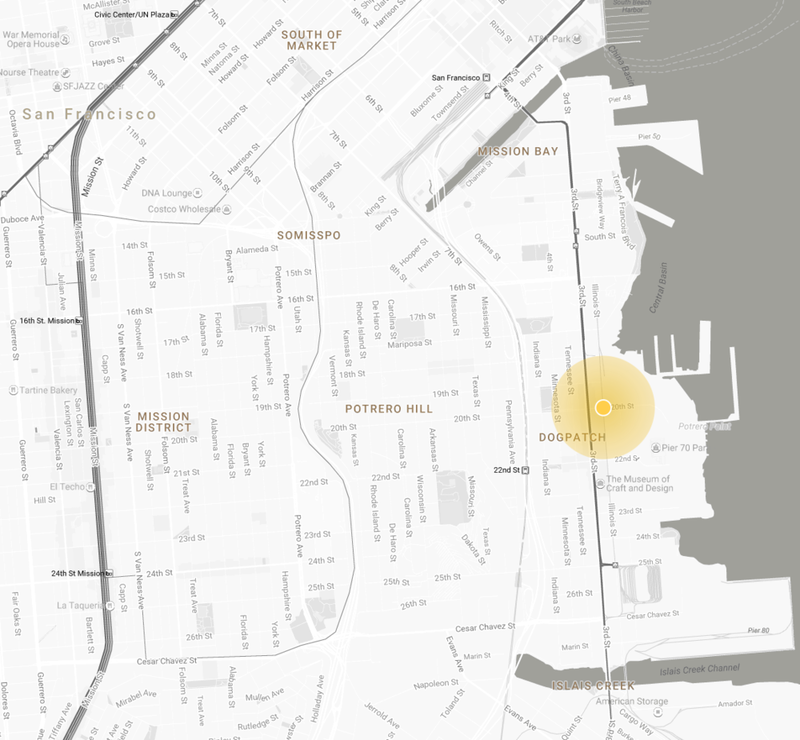 Dogpatch is located on the eastern side of the city, adjacent to the waterfront of the San Francisco Bay, and to the east of Potrero Hill. Its boundaries are Mariposa Street to the north, I-280 to the west, Cesar Chavez to the south, and the waterfront to the east.